On the auspicious occasion of the release of his mystical seventh artist album, technological force-of-nature Leafcutter John teams up with fellow stalwarts of idiosyncratic electronica Border Community to gift unto the world the small-yet-perfectly-formed joyously utopian artefact ‘Yes! Come Parade With Us’. Weaving field recordings from the Norfolk coastline together with layers of lyrical modular synth, these seven bright-eyed folk anthems sing with positivity and a sense of place, and feel right at home amongst the British label’s unparalleled ever-pastoral and often organic electronic legacy. Back home in London, the hours of amassed field recordings would form the backbone and inspiration for a whole album worth of outpourings from John’s six-years-in-the-making modular synth. From the evocative sound of sea birds on ‘Pillar’ and ‘Stepper Motor’ to the colourful conversation from a country pub in ‘This Way Out’, the apposite selection of samples which made the final edit provide the perfect jumping-off point for John’s synths to soar with abandon, at times uplifting, frenetic, haunting, hypnotic or meditative, but always atmospheric and with unstoppable propulsion. “Above all else, I wanted the album to exude a sense of constant forward motion but at a very human scale,” says John. Thus drummer friends Tom Skinner (Hello Skinny) and Sebastian Rochford (long-time collaborator in the twice Mercury Prize-nominated band Polar Bear) were roped in to lend their suitably clattering human momentum, on ‘Doing The Beeston Bump’ and ‘Dunes’ respectively. Working in tempos to match his walking speed throughout – “whether trudging along a rainy shingle beach or running up wildflowering clifftop paths” – ‘Yes! Come Parade With Us’ is perfect traveling music, and once unleashed upon the world is sure to provide the soundtrack to plenty more journeys to come. 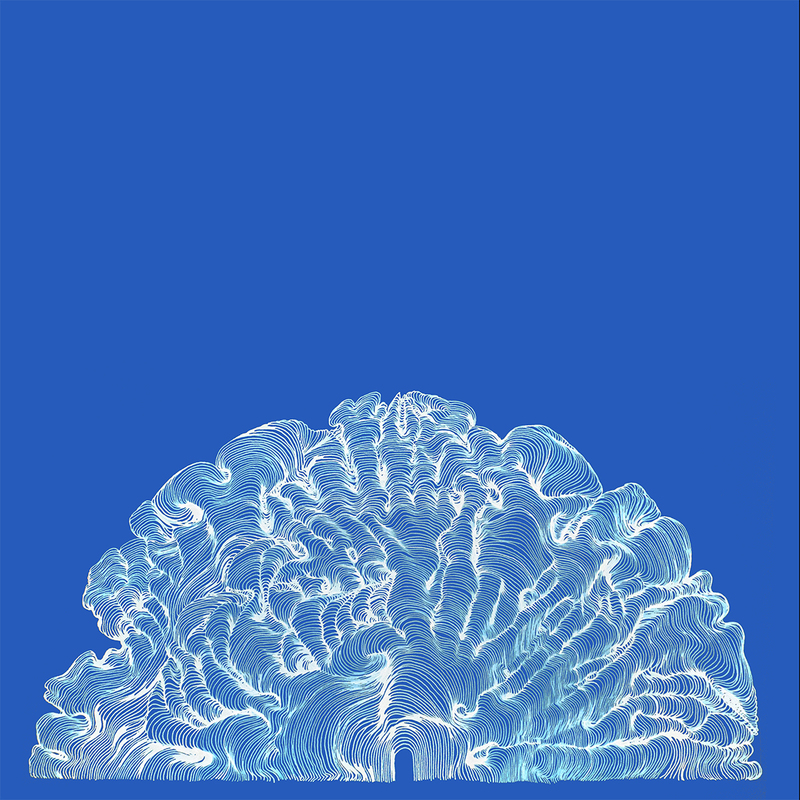 Beginning his own musical journey back in 1999 on Mike Paradinas’ Planet Mu Records and with a widely-varied twenty year career in electronic music already under his belt, the release of his masterful seventh album sees Leafcutter John on career-defining form. An intensely personal project, John has also hand-drawn the labyrinthine album art and animated his own suitably exuberant rainbow-hued video to accompany the boundless enthusiasm of restorative title track Yes! Come Parade With Us. The resultant album gem is both assuredly successful in his stated aim of capturing “both the rugged beauty of the environment and the positivity I felt walking through it” and incredibly infectious, with a harmonious utopian outlook which cannot help but rub off on the listener. An electronics master of both modular synth and Max/MSP who over the years has self-assembled quite the collection of bespoke controllers for his musical performances, the centrepiece of John’s current live show is an arresting light-activated interface which enables a torch-controlled live performance like no other. 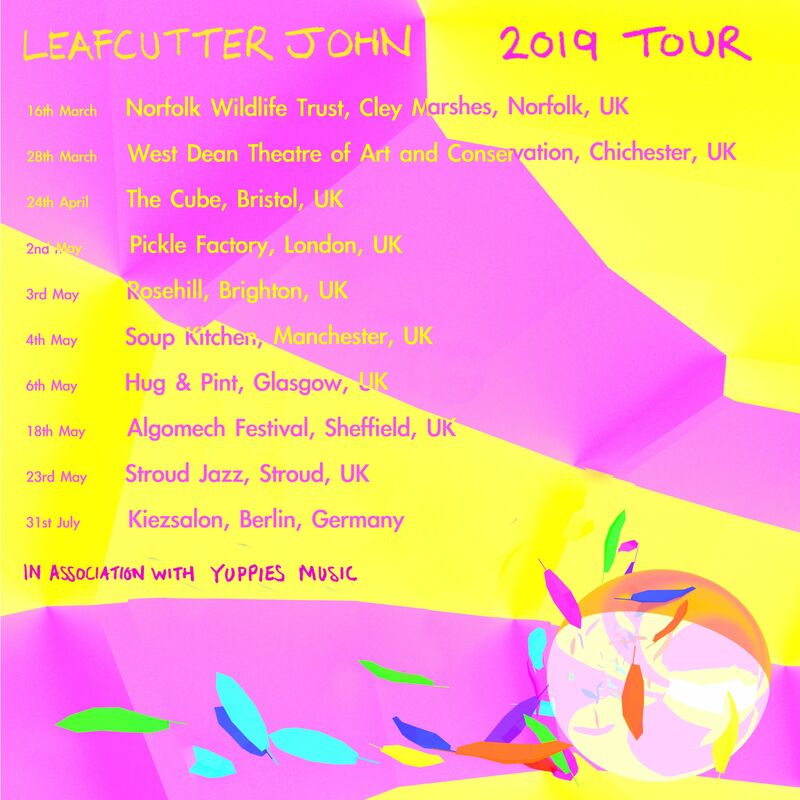 Leafcutter John will be taking this and other handmade technological wizardry out on the road this Spring across the UK and beyond, including a fitting early album showcase on 16th March at the Norfolk Wildlife Trust centre in Cley Marshes, which sits around the mid-point of that fateful walk of 2017. The CD version of ‘Yes! Come Parade With Us’ comes with a map insert hand-drawn by John, and is limited to 1000 copies. Pre-order now from the likes of Bleep or Resident, and stream the first single Yes! Come Parade With Us right away from Spotify.